We hope you haven't missed your chance to enjoy the unlimited access to all SEMrush Traffic Analytics features and reports that we offered to all paid subscribers to celebrate the tool's relaunch. And guess what? Now we have an even better offer! Starting November 8th, Traffic Analytics Tool reports and filters (except the Overview report) will only be available as an extra to the main subscription plan. However, you can still gain insights into your rivals’ traffic and their marketing campaigns performance with all Traffic Analytics reports and filters by upgrading your subscription plan to Business before the cutoff (November 8). This will give you a fully featured Competitive Intelligence Toolkit, in addition to SEO, PPC, Content Marketing and Social Media toolkits at a competitive price. Either contact our sales team for more details or upgrade your account to Business to get this double deal. You can also save more and drive higher ROI by purchasing several accounts for your entire marketing team at a special price. Combined with the rest of the SEMrush Competitive Research toolkit, the Traffic Analytics tool provides mid-sized and enterprise companies with valid and reliable market intelligence and competitive research data. Users joining SEMrush after November 8th will have an opportunity to explore the potential of the Traffic Analytics Tool by looking at comprehensive traffic data for three trial domains and an overview report for any domain for free. 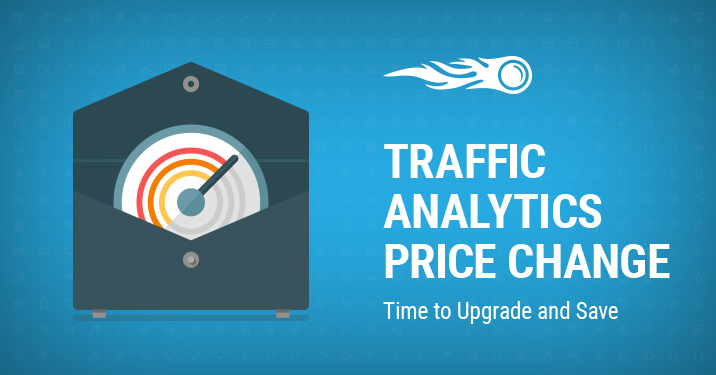 They will also be offered the SEMrush + Traffic Analytics package at a new price. Current paid users who choose to continue without Traffic Analytics will have their access return to default limits. Don't miss your great deal!